When a woman rekindles an early love in her late 30’s her whole life changes. Deeply in love, she and her new husband want to have a child together and they make an appointment at an IVF clinic. They are full of hope and shared commitment. So begins this story, inspired by the writers' own personal memoir. Avalanche: A Love Story is Leigh’s riveting and exceptionally moving account of a profound and widespread experience. She lays bare the highs and the lows, the pull of maternal yearning, the toll on a relationship, and the daily oscillation between hope and doubt. It’s a story we can all relate to – about the dreams we have for ourselves, the hopes we have for our futures and the goals we have for our families. 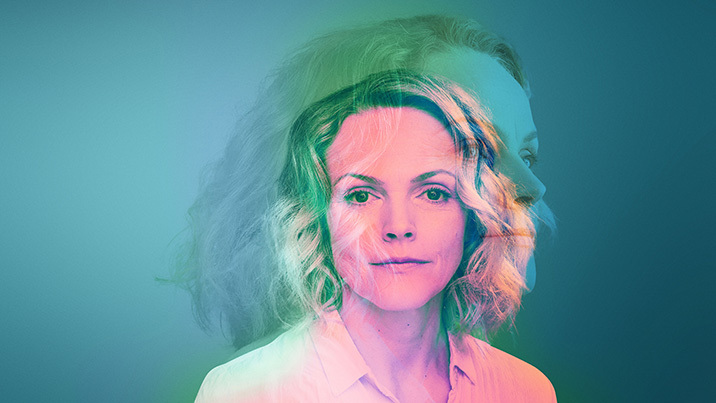 Direct from London, this international co-production with the Barbican Centre sees Leigh adapt her memoir for the stage with acclaimed British actor Maxine Peake in the lead role of this highly-anticipated world premiere. Praised for her “capacity for emotional directness and a fierce, uncensored honesty” (The Guardian), Maxine Peake is a prolific theatre, television and film actor. Australian audiences will know her from her astounding range of work, including Netflix’s Black Mirror, Channel 4’s cult favourite TV show Shameless, the award-winning biographical movie of Stephen Hawking The Theory of Everything and an extensive list of BBC dramas. On the stage, Peake has notably played the title role in Hamlet at the Manchester Royal Exchange. As a playwright, Maxine has retold many fascinating stories of great women in history. Sydney-born director Anne-Louise Sarks has been making waves in Europe and this production brings her back to her hometown for her first work with STC. These are artists at the top of their game, sharing a raw and insightful look at a universal tale. Avalanche: A Love Story was co-commissioned by Barbican London, Fertility Fest and Sydney Theatre Company.